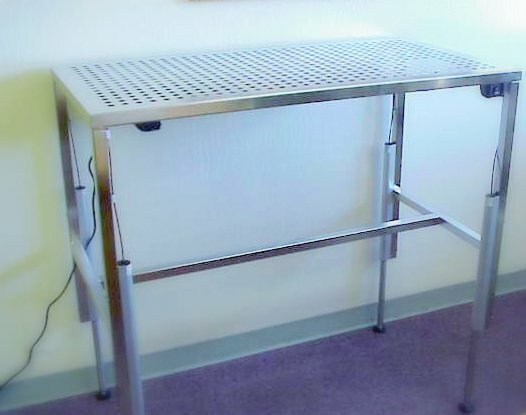 Stainless Steel Cleanroom Tables - EnviroSense, Inc. Tables with height adjust option capable of height configurations between 28 - 39 inches. 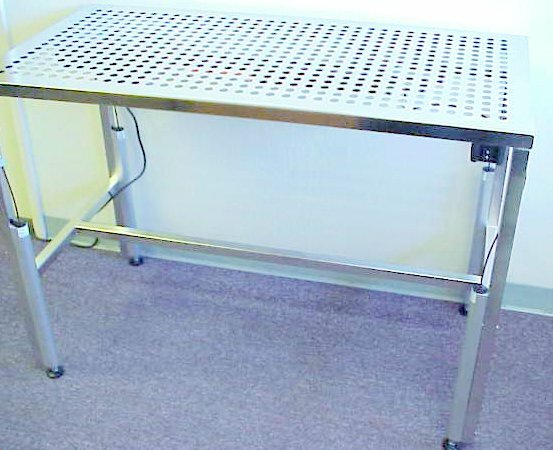 All tables are available in rod top or perforated top. Tables without height adjust option configured at 30 inches high. All tables come standard with our high-quality Electro-polish finish. 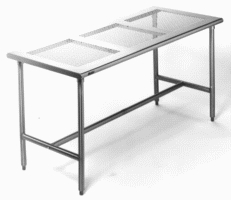 Our stainless steel Electro-polished tables are perfect for any clean-room environment.